The Institute for Politics and Strategy regularly facilitates students' participation in undergraduate and graduate student conferences. Conference opportunities are publicized throughout the school year, and students should express their interest in conferences early as spaces are quickly filled. Subscribe to the CIRP Newsletter to get updates on upcoming conferences. Forrest Cullings, a senior in CMU's Navy ROTC program, attended the annual 2019 Naval Academy Foreign Affairs Conference (NAFAC) in Annapolis, Virginia. 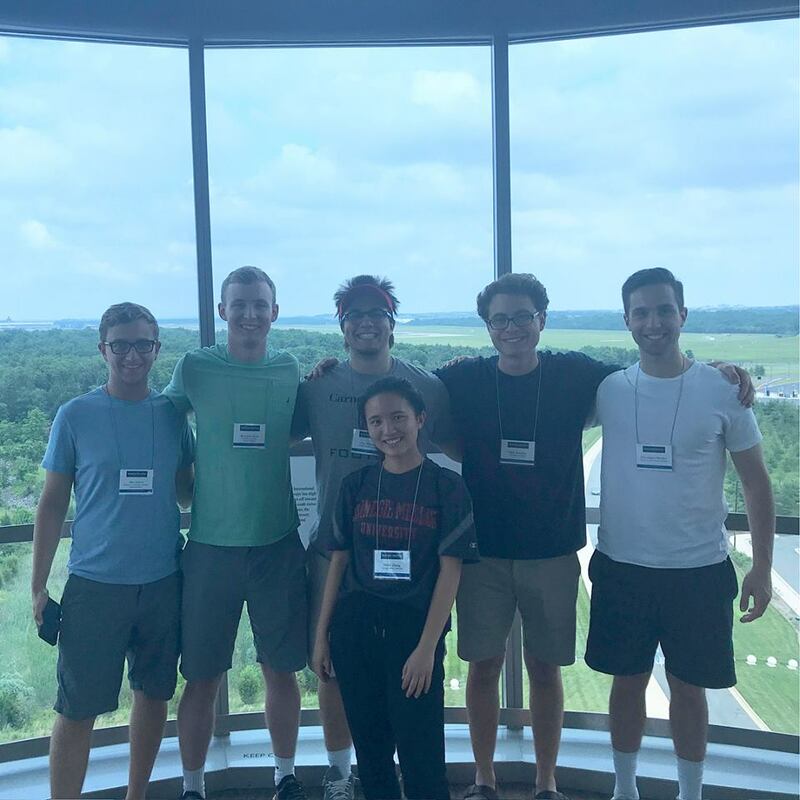 NAFAC is a week-long gathering of undergraduates from around the United States and the world who come together to discuss a theme of current global affairs. This year's theme was, "Coming Apart: The Fate of the Rules-based Order." The conference featured panel discussions with leading foreign policy experts, several roundtable discussions among delegates, and a keynote speech by former Chief of Naval Operations, Admiral Gary Roughead. "My experience at NAFAC invigorated my passion for studying American foreign policy, a subject influenced by military leaders. I enjoyed interacting with future Navy officers like myself who have similar passions and are concerned with America's future." Anna-Jamieson Beck, senior BHA student studying Politics and Public Policy and Drama, attended the 2019 WREN Annual Summit in Columbia, South Carolina. WREN is a South Carolina-based network whose mission is to build a movement to advance the health, economic well-being, and rights of South Carolina’s women, girls, and their families. The theme of the conference was “The Time is Now," and focused on creating change and opportunity for all South Carolina women. During the conference, Anna-Jamieson attended workshops about childcare and women’s economic empowerment, thinking beyond the criminal justice response to domestic and sexual violence, and business and policy solutions for pay equity. There was a keynote conversation with WNBA star A’ja Wilson and other speeches and panels from female state leaders. 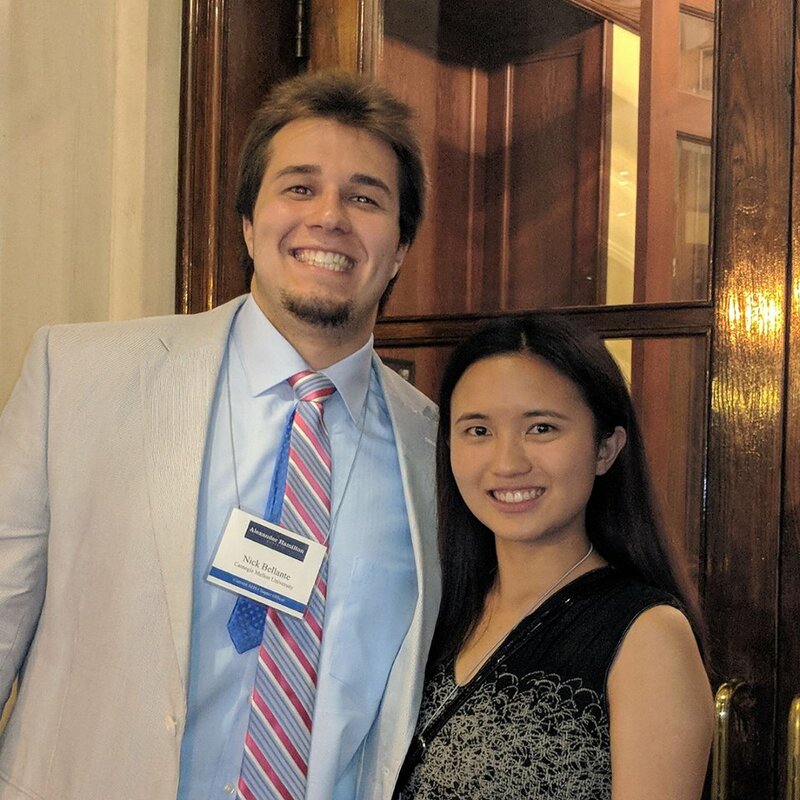 Millie Zhang & Nick Bellante attended the annual Alexander Hamilton Society (AHS) Student Leadership Conference held in Washington, DC. AHS is a non-partisan, not-for-profit, national organization that inspires and educates students in the importance of American leadership in the world and launches them into careers in public service, academia, and business. During the 2018 conference, they attended panels by and networked with national security, foreign policy, and economic statecraft professionals in organizations ranging from nonprofit global policy think tanks like RAND to government institutions like the Office for Net Assessment at the US Department of Defense. 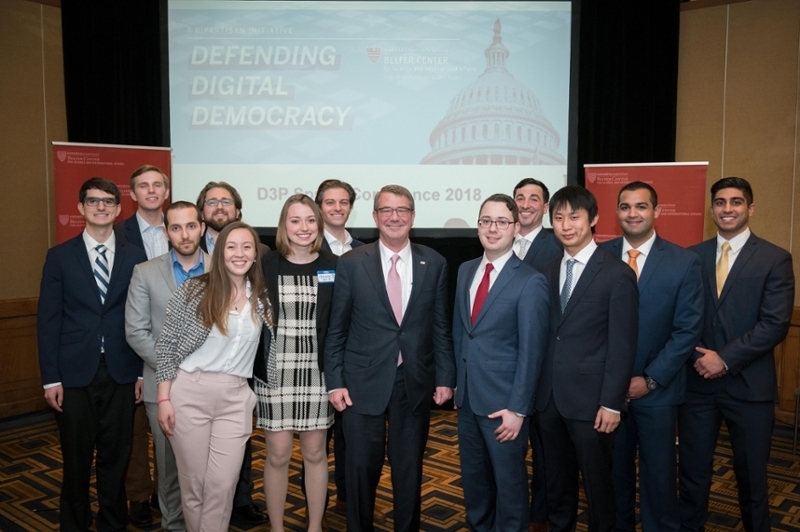 Carnegie Mellon University students Kellen Carleton and Arya Hezarkhani placed third in the policy category and concept category of the Defending Digital Democracy Project (D3P) Hackathon hosted by Harvard Kennedy School's Belfer Center for Science and International Affairs. Following submission reviews, Carleton and Hezarkhani were selected to attend the conference as finalists in Cambridge, Massachusetts on March 29, 2018. They won $1000 in prizes for each category they placed in. Read more about the conference experience.